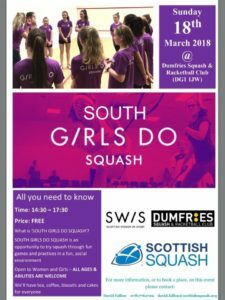 Back in February Scottish Squash launched an ambitious new campaign in association with Scottish Women in Sport (SWiS) and the University of West Scotland (UWS) called Girls Do Squash to help drive participation in squash for women and girls. 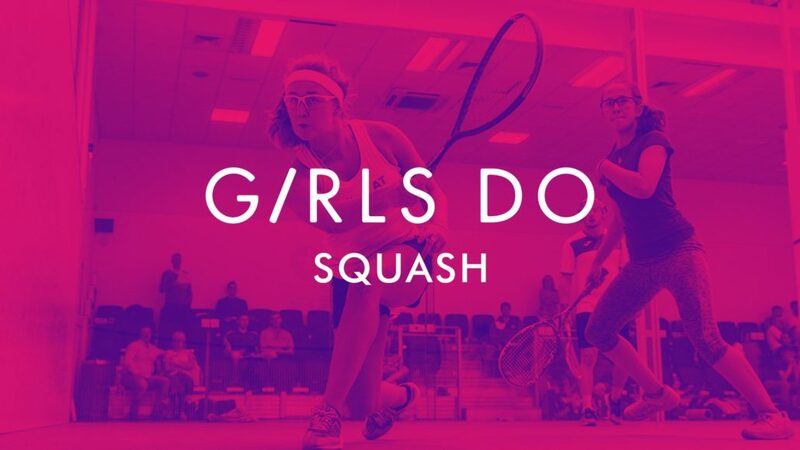 Since then our Squash Development team have been working hard with clubs and regions to showcase squash to a brand new audience of female players. 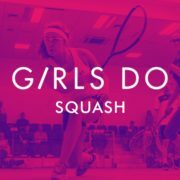 On International Women’s Day, March 8, we announced a number of new Girls Do Squash regional events that would take place across the country throughout 2018 which have provided an opportunity for women and girls of all ages and abilities to try squash in a safe, fun and social environment. David Fallon, National Lead for Sport Development, said: “We asked for each area in the country to get involved and clubs have really bought into the initiative. 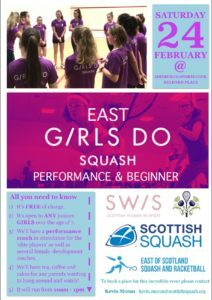 “We have let clubs lead on this, enabling them to structure Girls Do Squash events how they want. “The key thing has been about getting women on court hitting a ball and there’s been coaches on hand to give pointers, tips and advice if needed. “Clubs have run 3-4 hour events and followed up with 4-6 week block of sessions for women and girls. “We feel the follow-up sessions are important as it gives an extended taste of the sport to females and hopefully at the end of that block they are keen to continue playing and join a club. 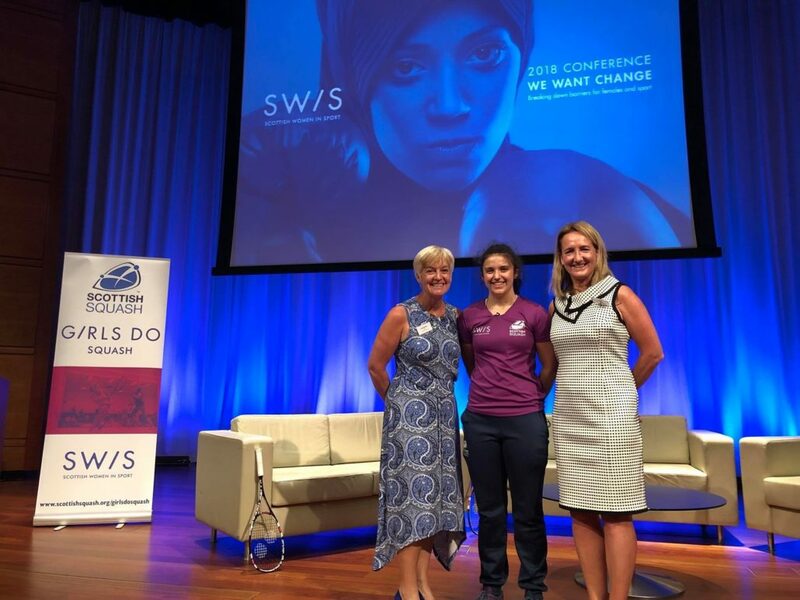 The Girls Do Squash campaign was showcased at the 2018 Scottish Women in Sport Conference in June which saw Scottish Squash CEO Maggie Still, squash player Georgia Adderley and Sue Strachan (Equality Advisory Group) outline the benefits and achievements to date of Girls Do Squash. 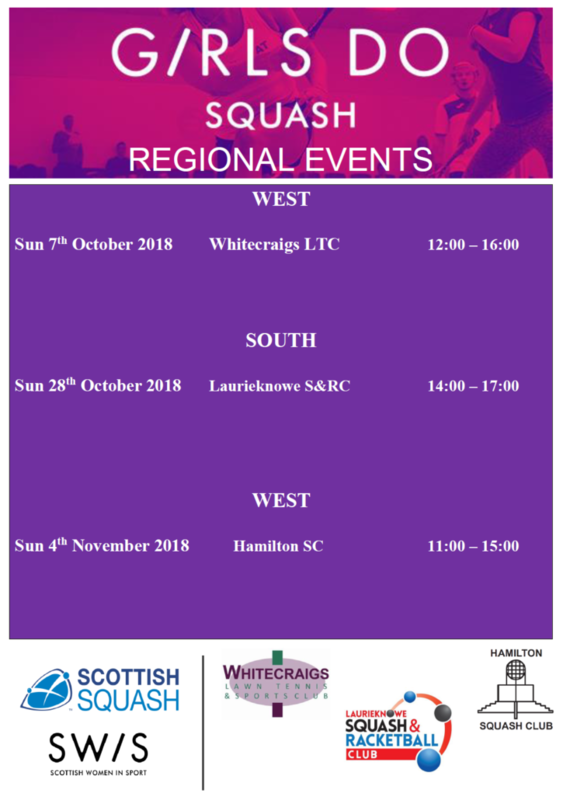 During September Scotstoun Squash Club ran a Women’s Invitational event to celebrate Women in Squash Week (September 22-September 30) which started as a promotional campaign in New York back in 2008. Led by Scotstoun Head Coach Martin Woods, the club managed to attract an impressive 28 women on to court on September 30, making up seven teams of all abilities who competed in a fun, relaxing tournament. Fallon continued: “It was a terrific turnout and all credit to Martin for putting on a great event which had the place buzzing. October saw Dunblane Sports Club open up their courts to give free taster sessions for women and girls to celebrate Active Girls Day. 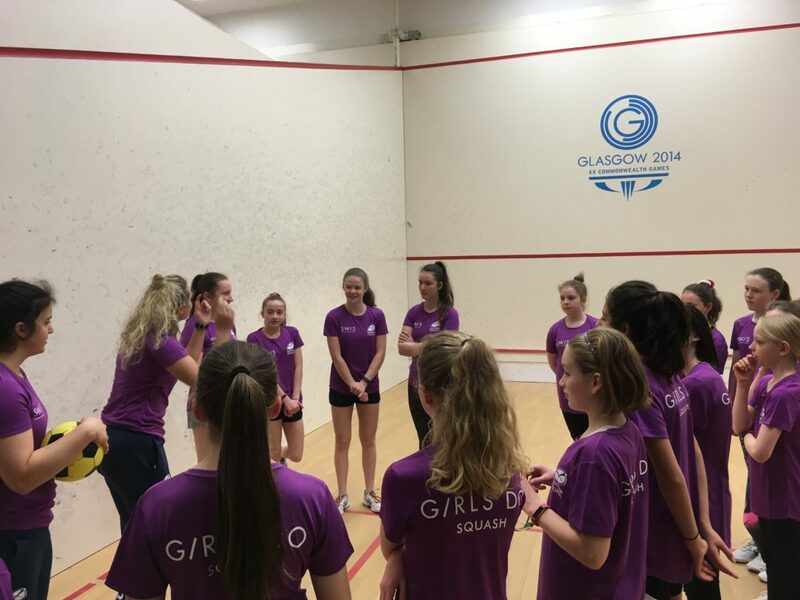 The initiative organised by SportScotland aimed to celebrate the work going into girls’ sport, the progress around girls’ participation, and the incredible role models making it happen. 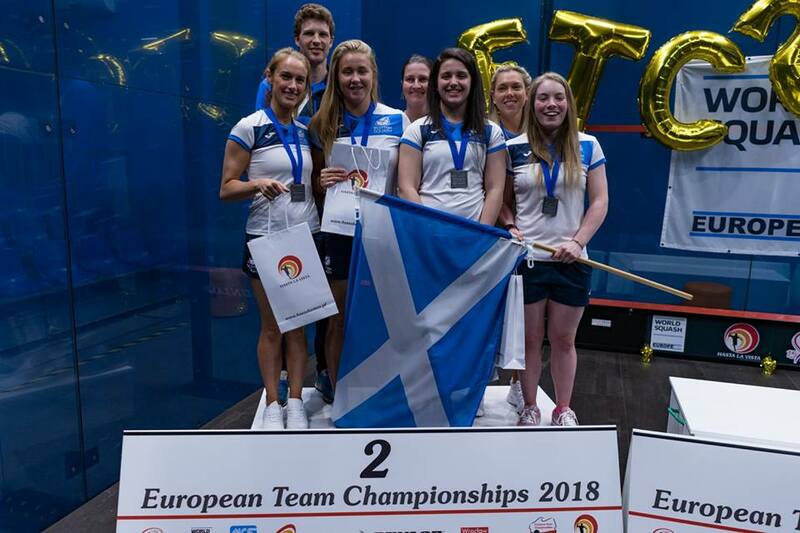 On the international stage, women’s squash in Scotland has continued to enjoy success in 2018 with the senior team winning four of their five matches at the 2018 European Team Championships in Wroclaw, Poland as they returned to Division One for the first time since 2012. 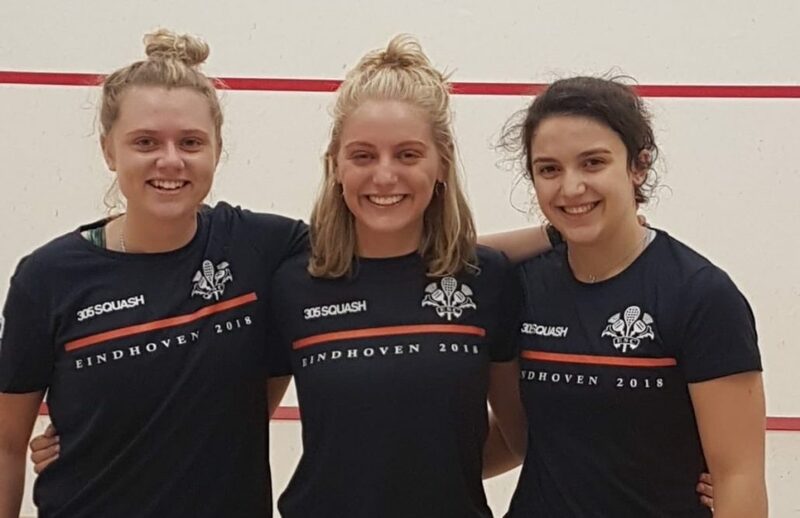 Fiona McLean secured a bronze medal at the 2018 WSF World Masters Championships and just last month Georgia Adderley secured her second successive Dunlop British Junior Championship (BJC) title following her bronze alongside Elspeth Young and Carrie Hallam for ESC at the European Club Championships. Her success in 2018 also saw Adderley win the Scottish Women in Sport Young Sportswoman of the Year Award and she was a proud ambassador for World Squash as the sport was showcased at the Buenos Aires Youth Olympic Games 2018 in October.